For a hundred years, the Royal Air Force has served its country with flying colours, controlling danger high in the sky without flinching to the admiration and gratitude of the free world. Formed towards the end of World War I on 1st April 1918, the RAF is the oldest independent air force in the world. World War I witnessed the arrival of those fearless flying heroes in machines barely off the test stages and with armaments sometimes more dangerous to the pilot than to the enemy on the ground. 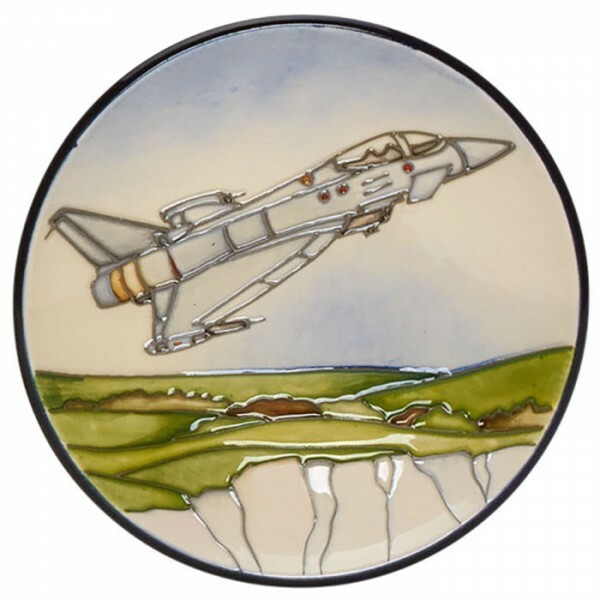 Designer, Paul Hilditch, leads Flying Colours with a time line showing Britain’s most advanced and versatile fighter jet, the Typhoon, alongside the legendary Spitfire and in the rear a Sopwith Snipe. Each historical plane is flying over the white cliffs of Dover, a place in Britain synonymous with the RAF and their aerial missions. 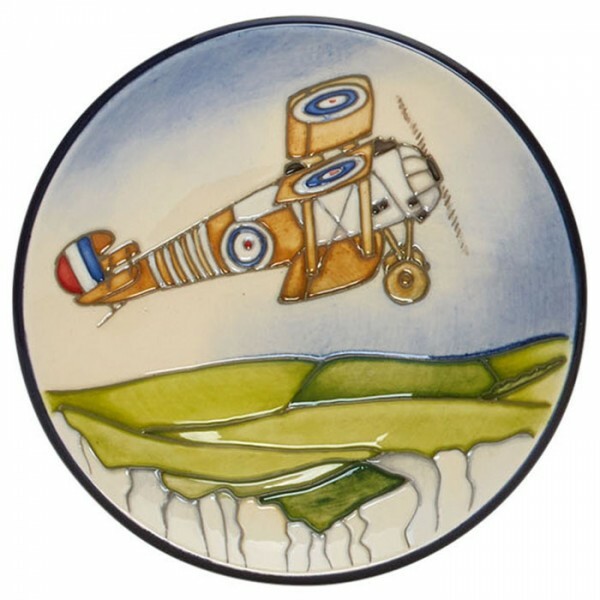 Three great war planes on a single plaque is a magnificent ceramic image in its own right, but to keep Flying Colours company comes three coasters, one showing the Sopwith Snipe; the second featuring the Spitfire and the third the Typhoon itself. 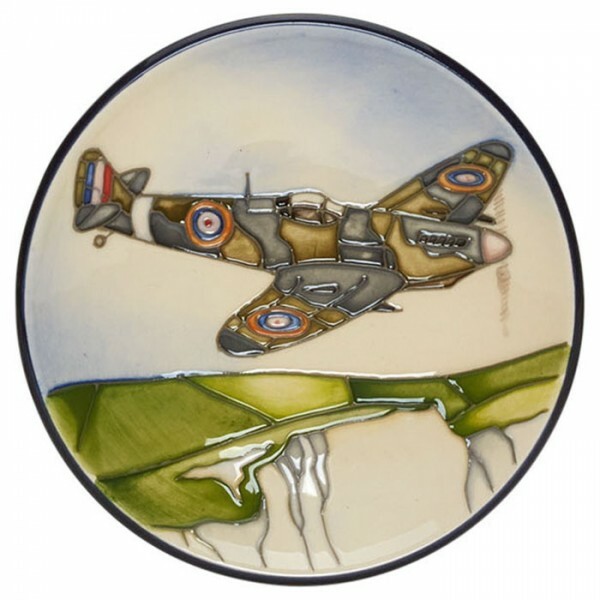 Moorcroft existed even before tanks entered combat in World War I and yet it is right and proper that it should pay homage to the three air born warriors without whose contribution the world would not be as it is today. We salute all three!